Now that I’m a Florida resident, my time spent in the parks is more relaxed. Instead of rushing from attraction-to-attraction, I spend time milling around and being a general nuisance. No, strike that…I spend time checking out all of the details. I used to pay attention, but now there is more time to linger and soak things in. I’ve always been enchanted with the Muppets and MuppetVision is tour-de-force when it comes to properly presenting a franchise. As you exit the theater, there are several posters that always caught my attention, but I never had the time to stop and check them out. 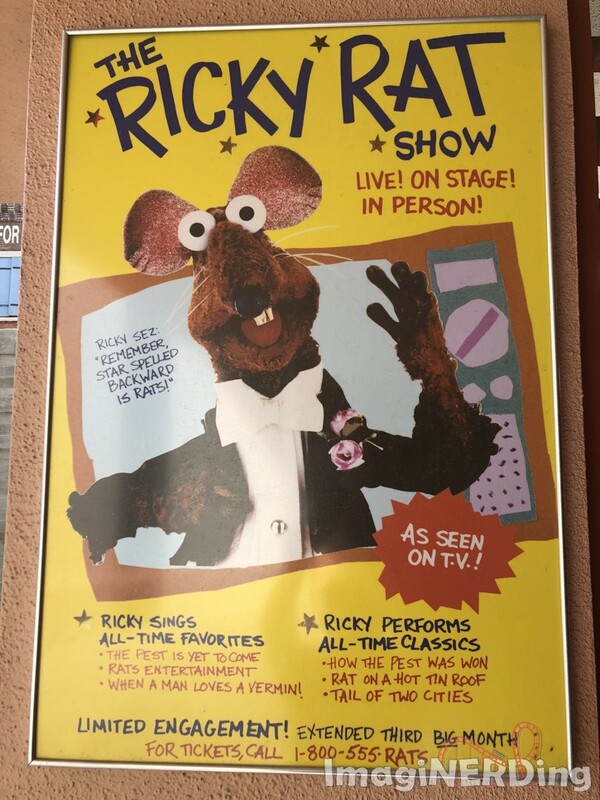 Ricky Rat Show – wonderful Muppet gags featuring wordplay lampooning popular songs and plays. 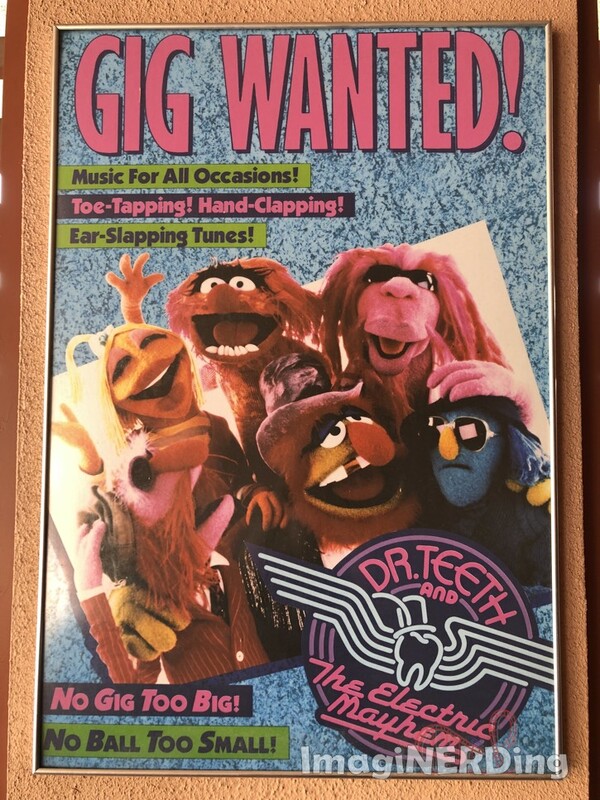 Who doesn’t love Dr. Teeth and the Electric Mayhem? 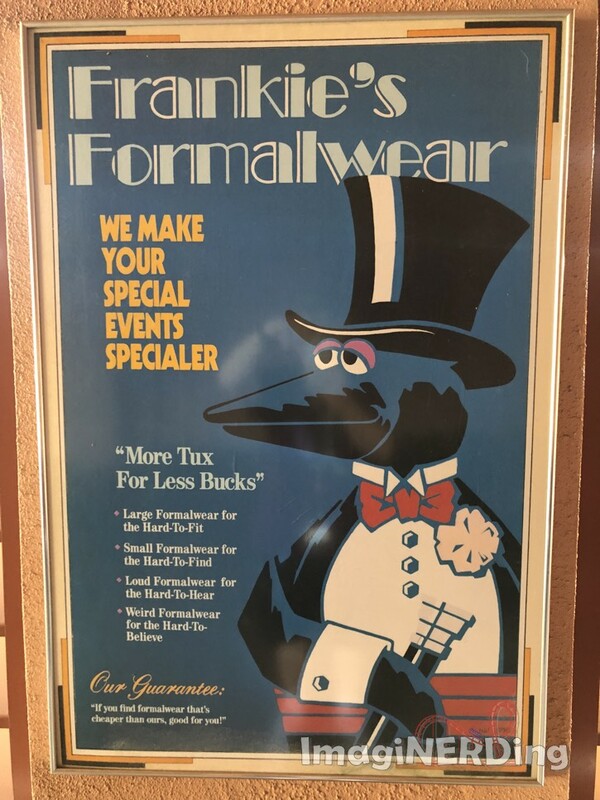 Frankie’s Formal Wear is a nod to the penguin orchestra. Make sure to check out their guarantee! 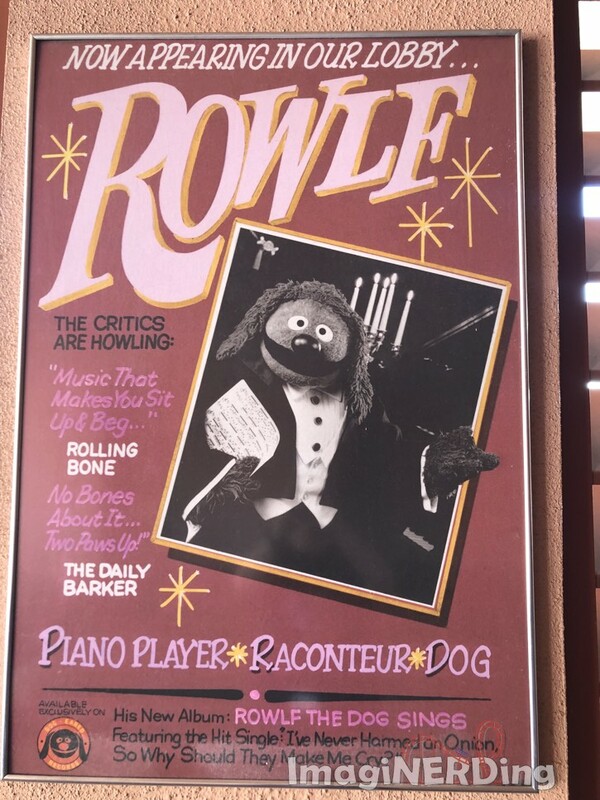 Rowlf the Dog is a fan-favorite and has been since 1962. Rowlf is available exclusively on Dog-Eared Records. Fozzie Bear has always been my favorite Muppet. He was dad jokes long before dad jokes became a thing. 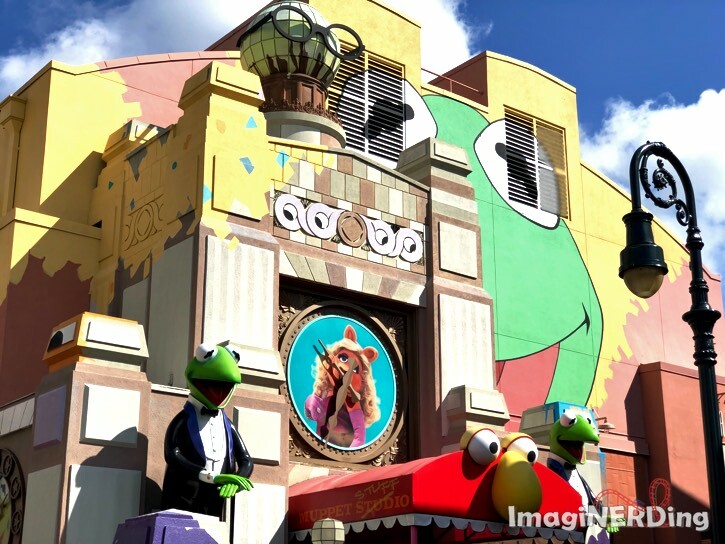 Who is your favorite Muppet and why? What do you think about MuppetVision?